Our scrap list will provide you with pictures and descriptions of common scrap materials. We provide a list of Non-Ferrous, Ferrous, Electronic Scrap, Plastic Scrap, and Paper Scrap materials for your review. 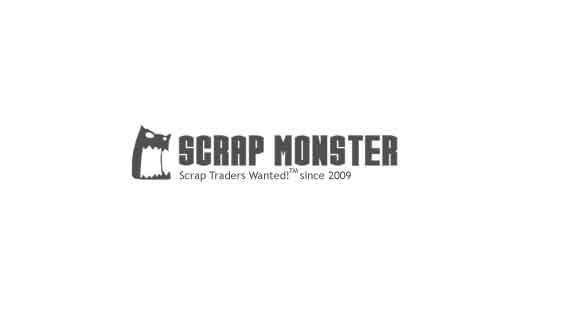 We include useful tips and techniques for beginners and advanced scrappers, as well as scrap yard links and scrap prices offered by various scrap yards and recycling facilities. Lead Acid Battery Scrap is the most commonly found Lead scrap.Lead Battery scrap is available in the form of Lead Battery Plates (Rails), Wet Whole Intact Batteries (Rink) and Drained/Dry Whole Intact Lead Batteries (Rains). Lead shots are the small round pellets of lead used as projectiles in shotguns. Lead is the primary material for shots and bullets. Alloying with antimony makes them hard. For instance, premium lead shots normally contain up to 6% antimony, while others contain about 1-2%. In Bullets, lead is almost entirely sheathed in a copper alloy jacket. Lead Wheel Weights are mainly used in automobiles as correction weight in order to ensure balancing of wheels. It may consist of lead tire balances with or without iron clips. In general, it must not include scrap lead, lugs or plates. Also, it must be free of any foreign material. Mixed Hard/Soft Lead shall consist of clean lead solids and lead shots, that are free of other materials such as drosses, battery plates, lead covered cables, collapsible tubes, type metals, aluminum, zinc, iron and brass fittings, dirty chemical lead and radioactive materials. Examples of Mixed Hard/Soft Scrap Lead include weights, pipes, gutters and pellets. Soft Lead shall consist of clean soft scrap lead, free of other materials such as drosses, battery plates, lead-covered cable, hard lead, collapsible tubes, foil, type metals, aluminum, zinc, iron and brass fittings, dirty chemical lead and radioactive materials. In short, Soft Lead is lead containing virtually no impurities other than the precious metals. Aluminum Wheels shall or Aluminum Rims are scrap materials obtained from discarded wheels of vehicles-both on-road and off-road types. The rims must be free of tire, dirt and other attachments such as lead wheel weights. Extruded Aluminum Alloy 6061 is a medium to high strength aluminum alloy. It is one of the most widely used alloys in the 6000 series. 6061 Extrusions possess excellent corrosion resistance to atmospheric conditions. It also offers corrosion resistance to seawater. Aluminum 6063 grade is often referred to as architectural alloy. It is an extrusion alloy with relatively high tensile properties, weld ability and high corrosion resistance. It has excellent finishing characteristics. Incidentally, 6063 is the most popular alloy in the 6000 series and is used in a variety of applications that require both strength and appearance. Aluminum Nodules shall consist of clean aluminum, either chopped or shredded. It must contain 99.45% aluminum content and must be free of screening, hair-wire, iron, copper, insulation and other non-metallic items. Radiators basically transfer heat from the coolant to the air. Radiators are usually made from aluminum and copper. The primary difference between copper and aluminum radiators is that aluminum radiators have wider tubes to carry the coolant. Aluminum Transformers are basically aluminum wires around a steel core. It may also contain an outer case surrounding the aluminum wiring. Aluminum Utensil Scrap consists of aluminum sheets and sheet utensils including cooking pots. They must be free of iron and foreign materials. E.C Aluminum Wire shall consist of clean E.C. aluminum, chopped or shredded, free of screening, hair-wire, iron, copper, insulation and other non-metallic items. Further, it must be free of minus 20 mesh material and must contain 99.45% aluminum content. Mixed Aluminum Turnings consist of clean, uncorroded aluminum borings, turnings and grindings. Aluminum Turnings are extremely small shavings made of aluminum which are usually remains from various manufacturing processes. Old Mixed Aluminum Scrap shall consist of assorted, clean aluminum scrap. It must be free of foil, hair wire, plastic, dirt and other non-metallic items. Old Sheet Aluminum consists of thin aluminum materials that are clean and free from iron, plastic, glass or other attachments. It may include construction aluminum sheeting, pots, pans, jacketing from BX wire, old antennas and old aluminum chairs. Painted Sidings consist of clean, low copper aluminum siding painted on one or two sides. They must be free of plastic coating, iron, dirt, corrosion, fiber, foam, fiberglass backing or other non-metallic items. Moreover, they must be free of insulation materials. Aluminum Used Beverage Can (UBC) is a packaging container made primarily of aluminum. It is widely used for packaging carbonated soft drinks, fruit and vegetable juice, tea, sports drinks and beer. UBC Scrap must be free from excessive dirt, liquid, other scrap metals, lids, foil, plastic, paper, glass and other non-metallic items. Zorba 90% NF comprises of Shredded Non Ferrous scrap that are predominantly aluminum. It can contain a combination of various non ferrous metals including aluminum, copper, lead, magnesium, stainless steel, nickel, tin or zinc in elemental or alloyed form. Alternators are found in cars, trucks and other vehicles. It contains wound copper wire inside it. Beryllium Copper Scrap consists of clean beryllium alloyed copper solids. It may also include punching, clipping, bar, pipe, tubing or elbows. Braziery Copper consists of copper that are already tinned, soldered, brazed or painted. It should be at least 95% copper and can contain even up to 5% brass. Copper/Aluminum Radiator Scrap consists of unalloyed copper tubing surrounded by aluminum cooling fins. They are generally derived from heat exchange radiators. Copper/Aluminum Radiators/ Fe Scrap shall consist of iron attached to the unit of copper fins in air conditioning units. Copper/Large Electric Motor Scrap consists of large electric motors that are more than 1 horsepower in size. It also includes copper coil windings from such motors. Copper Transformer Scraps consists of copper windings surrounding a steel core. The copper windings may also be covered by an outer case. Copper Turnings Scrap are the shavings of copper metal, often left after manufacturing of copper goods in machine shops or factories. Copper/ Sealed Motors Scrap comprises of sealed electric compressor motors, mainly derived from refrigerators and freezers. Copper/Aluminum BX Cable Scrap is made up of plastic insulated copper wire that is coated with aluminum casing. Copper/Aluminum Radiator Ends Scrap shall consist of materials that are cut from the end of Copper/Aluminum Radiators. The ends usually consist of iron or steel. Copper/Fractional Electric Motor Scrap consists of small electric motors less than 1 horsepower. It also includes small copper coil windings from such motors. Copper/Steel BX Cable Scrap is made up of plastic insulated copper wire that is coated with Steel casing. Cu Yokes Scrap are a series of weaved copper wire with a plastic cone around. These are found on the back of tube televisions. This category of copper scrap consists of miscellaneous, unalloyed copper solids having a minimum of 88% copper content. It may also include sheet copper, gutters and similar scrap. No.1 Copper Wire Nodules consist of No.1 bare, uncoated and unalloyed copper wire nodules that are by-products of a shredding or chopping operation. No. 1 Insulated Copper Wire Scrap consists of wires that are plastic insulated. It must be uncoated and unalloyed. These scrap copper wires must be larger than 16 gauge. No.2 Copper Wire Nodules Scrap consist of No.2 unalloyed copper wire nodules from a shredding operation. It provides 97% content re-melt recovery rate. No. 2 Insulated Copper Wire Scrap consists of different plastic insulated unalloyed copper wire. The wires must be free of heavy or double insulation. No. 3 Insulated Copper Wire Scrap consists of assorted plastic insulated unalloyed copper wire. It can contain heavy or double insulation wires and plastic insulated telephone cables. No.1 Bare Bright Copper Wire Scrap shall consist of bare, uncoated, unalloyed copper wire that is larger than 16 gauge. No.1 Copper Wire Scrap shall consist of clean, untinned, uncoated and unalloyed copper wire, not smaller than 16 gauge. No.1 Heavy Scrap Copper shall consist of clean, unalloyed and uncoated copper solids. It may also include punchings, clippings, bus bars, clean pipe or tubing. No.2 Copper Wire Scrap shall consist of miscellaneous, clean, unalloyed copper wire having a nominal 96% copper content. No.2 Scrap Copper consists of clean, unalloyed copper solids. It may include clean, oxidized or coated (plated) copper clippings, punchings, bus bars, commutator segments. Romex Wires Scrap are non-metallic wires that are commonly used for electrical wiring in homes. Romex consists of copper wires, a neutral conductor and a ground wire. Soldered Copper Pipe Scrap is a category of scrap copper that consists of assorted copper pipe with soldered joints or ends. Starters Scrap are found in cars, trucks and other vehicles. They are filled with copper wire inside. The copper wire content offers scrap metal value to them. Wire Harness is an assembly of electrical wires that are commonly found in electrical parts of automobiles. Normally, it contains a lot of wires sheathed in a plastic outer covering. Xmas Lights or Christmas Lights are those strands of electric lights that are used to decorate trees, houses or commercial buildings during Christmas season. New Zinc Die Cast Scrap consists of new or unused, clean, zinc base die castings. They must not be plated or painted and must be free from corrosion. Old Zinc Die Cast Scrap consists of miscellaneous old zinc base die castings, with or without iron and other foreign attachments. Ideally, the material should not contain iron in excess of 30%. Old Zinc Die Cast Scrap must be free of borings, turnings, dross pieces, chunks, melted pieces and skimmings. Brass Radiator Scrap consists of radiators used in automobiles and home heating systems. It should be free of steel and iron at the sides of the material. It must not contain any coolant inside. The brass radiators that are processed in this manner are often called ‘Clean Brass Radiators’. Those with iron or plastic attached to them are called ‘Dirty Brass Radiators’. Red Brass is an alloy comprised of more than 80% copper, 8-10% of tin, 2-4% of zinc and a very small quantity of lead. The huge quantity of copper content gives the metal a reddish color. It may occasionally contain grey-black or black spots that are developed due to its exposure to silver nitrate. Yellow Brass is a copper alloy that comprises of about 60-70% copper, 30-40% of zinc, tin and lead in traces. It must be free of iron, paint, plastic, washers, glass, etc. The presence of more zinc makes it look more yellowish in color. It is brighter in color and more reflective than Red Brass. Due to its lower copper content, it is priced lesser than Red Brass. Grade 301 is an austenitic chromium-nickel stainless steel. It is non-magnetic when in the annealed condition, but becomes magnetic when cold worked. It contains lower chromium and nickel contents when matched with Type 304. Stainless steel grade 301 is generally supplied in the form of strips and wires. They are available in several conditions or tempers. Type 304 Stainless Steel is a Chromium-Nickel austenitic alloy that has a minimum of 18% chromium, 8% nickel and a maximum of 0.08% carbon. It is the most versatile and most widely used stainless steel. Stainless Steel Scrap Grade 309 is austenitic chromium-nickel stainless steel that is most commonly used for high temperature applications. They are highly corrosion resistant and possess excellent resistance to heat and oxidation. They are characterized by their strength at room and elevated temperatures. Grade 310 Stainless Steel is a medium carbon austenitic alloy. It comprises of 19-22% Nickel, 24-26% Chromium, under 3% each of Manganese, Tin, Phosphorus and Carbon. The balance is Iron. Like other austenitic stainless steel grades, 310 SS cannot be hardened by heat treatment. However, they can be hardened by cold work. Type 316 is an austenitic chromium-nickel stainless steel that contains molybdenum. The addition of molybdenum increases its corrosion resistance and provides increased strength at high temperatures. It has outstanding forming and welding characteristics. It is the second most popular grade of stainless steel. Type 330 is a high strength austenitic chromium-nickel-iron-silicon alloy that offers high resistance to oxidation and carburization. The silicon content enhances the excellent resistance provided by the high nickel and chromium content of the alloy. It also has high ductility and strength. 330 Stainless Steel Scrap shall consist of sorted AISI type 330 stainless steel solids. #1 Bundle consists of new black steel sheet scrap, clippings or skeleton scrap that are compressed into a bundle of not less than 75 pounds per cubic foot, so that the material can be handled with a magnet. #1 Busheling Scrap may consist of clean steel scrap, not exceeding 2 feet by 5 feet. It may include new factory busheling such as sheet clippings, stampings etc. It must not contain old auto body and fender stock and must be free of metal coated, limed, vitreous enameled, and electric sheet containing over 0.5% silicon. #1 Heavy Melting Scrap (#1 HMS) is one of the two major categories of HMS which comprises of recyclable steel and wrought iron. It must be free of galvanized and blackened steel. #2 Bundle consists of old black and galvanized steel sheet scrap, hydraulically compressed to charging box size and weighing not less than 75 pounds per cubic foot, so that the material can be handled with a magnet. #2 Bundle scrap may not include tin or lead-coated material or vitreous enameled material. #2 Heavy Melting Scrap (#2 HMS) is one of the two major categories of HMS which comprises of recyclable steel and wrought iron. The primary difference of #2 HMS with #1 HMS is that the former contains galvanized and blackened steel. Cast Iron Scrap is an alloy of iron that contains high amounts of carbon. The carbon content makes it susceptible to corrosion. As a result, Cast Iron scrap is often rusted and worn. It is mainly found in the form of castings and pipings, even though it is used in several other forms. Sheet Metal may consist of thin, flat steel pieces generated by an industrial process. It can be bent and cut into a variety of shapes using different tools such as Snips, Hacksaw, Nibbler, Jigsaw, Band Saw etc. Steel sheets are often fabricated to form large number of useful new products in fabrication shops. CPU Processors are the brain of the computer. They contain billions of microscopic transistors and hundreds of gold plated pins. The presence of precious metals such as gold, platinum, silver and palladium make it one of the valuable parts, while scrapping. Hard Drives are used to permanently store and retrieve data contents on a computer. It basically consists of one or more platinum-plated aluminum platters to which data is written using a magnetic head. In addition, it also contains magnetic actuator, motor and circuit boards. These components are normally enclosed in a stainless steel outer covering. Memory Chips are one among the several valuable components that are generated while scrapping an old computer system. Although they are most commonly found in Computers, they are also found in other devices such as Servers, Printers and Laptops. Random Access Memory (RAM) Chips are long rectangular ‘mini circuit boards’ that consists of numerous memory chips. Power Supplies are units used to supply power and provide cooling to a computer. It can contain wires and circuit boards attached to it. It may also consist of capacitors, transformers and aluminum heat sink and steel screws. Scrap Cellular Phones consists of old cellular phones with or without batteries. The introduction of newer cell phone models and the inherent tendency of humans to embrace changing technology results in millions of cellular phones being discarded across the world. Most cell phones contain precious metals and plastics which can be recycled. Scrap Motherboards may be found in computers, servers, laptops, networking equipment etc. Motherboards usually have other materials such as memory, chips and wires connected to it. The motherboard contains several components that are rich in precious metals. The board consists of several gold plated connectors and pins.